Rangana Herath marked his final Test appearance with a major milestone in Galle. The Sri Lanka left-arm spinner passed the 100 wickets barrier at a single venue when he bowled Joe Root midway through the first morning of the first Test against England. Herath became only the third man to achieve the feat of a century of scalps at the same Test arena, joining a club which also includes Muttiah Muralitharan and Jimmy Anderson. Muralitharan hit the mark at three separate grounds, claiming 166 wickets at the Singhalese Sports Club in Colombo, 117 in Kandy and 111 in Galle, while Anderson brought his hundred up at Lord's earlier in 2018. 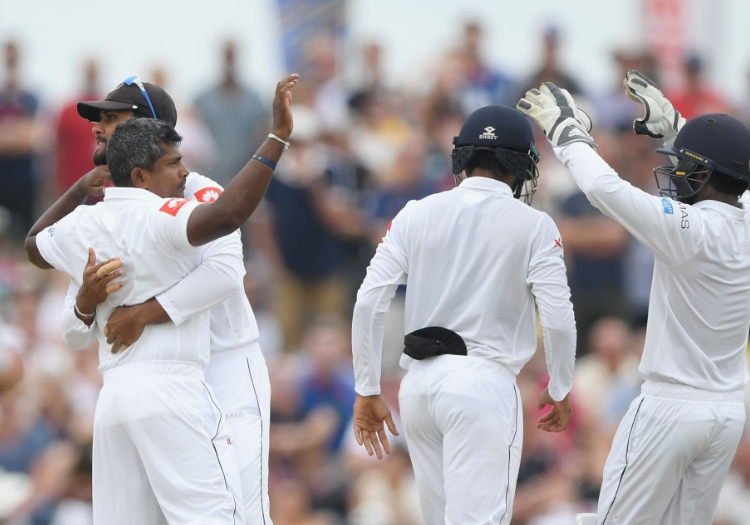 It was a fitting reward for Herath, the most prolific left-arm spinner in Test history, who received a guard of honour from his team-mates on the walk to the wicket prior to the start of play and was greeted to the crease with fireworks from the fort which overlooks the famous stadium. England, who had lost Rory Burns and Moeen Ali cheaply on Tuesday, had recovered to reach 72 when Herath removed Root. The tourists opted to bat first after winning the toss, with Burns and Ben Foakes making their international debuts.